Ms. Spinu is looking forward to the GES event as companies from India on Export Portal have a very large presence on the platform. LOS ANGELES, Feb. 21, 2018 /PRNewswire/ -- Export Portal, a Los Angeles based blockchain-enabled international B2B e-Commerce platform, is pleased to be attending the World Trade Centre Mumbai Economic Summit to announce their 100 Country Worldwide Launch. CEO of Export Portal, Ms. Ally Spinu will be attending the three-day conference, as well as speak about her blockchain-based ecosystem ExportPortal.com at the panel discussion at 10:20, GVCs: Adaptation of New Technologies session on Friday, February 23rd. Ms. Spinu will also be speaking at the special session Saturday, February 24th at 1:30 on "Marketing Strategy for Exports." Ms. Spinu is looking forward to the GES event as companies from India on Export Portal have a very large presence on the platform. Ms. Spinu is personally inviting companies, SMEs, and professional organizations, especially manufacturers to register on ExportPortal.com and follow our growth on social media. Ms. Spinu and her team have big plans to touch 100 other countries in the coming nine months through her Country Ambassador Program. Ms. Spinu states, "We are going through our final set of interviews for our Country Brand Ambassador position and will probably be making an announcement in Vietnam soon and will need more than one Brand Ambassador per country, especially in India." Unlike any other e-Commerce platform in the marketplace currently, Export Portal seeks to change the minds of buyers and skeptics on the sidelines that are fearful to enter contracts with unscrupulous, shady, shadow companies that lurk on other, less honest platforms. 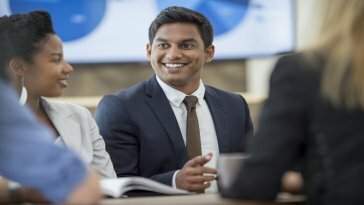 Export Portal's 100 Country Worldwide Tour and Country Brand Ambassador Program is designed to attract the best talent from different countries, bring SMEs to our platform, register them, and help the company build the necessary in-country infrastructure to help manufacturers, sellers, and countries export more. The World Trade Centre Mumbai's Global Economic Summit (GES) is now in its seventh year. 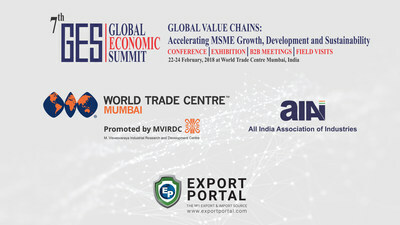 GES is the flagship annual event of "MVIRDC" (M Visvesvaraya Industrial Research and Development Centre), World Trade Centre Mumbai and All India Association of Industries. The summit will deliberate on the theme "Global Value Chains: Accelerating MSME Growth Development and Sustainability." Ms. Spinu looks forward to discussing MSME growth through the world's first blockchain enabled Ecosystem with Mr. Kalantri, Rupa Naik, and the entire World Trade Centre GES Team. On February 28th, Ms. 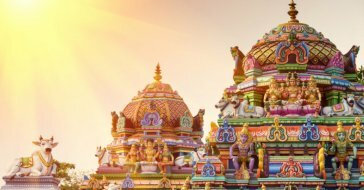 Ally Spinu and International Business Development lead John Zahaitis will be attending Global Trade Review: India Trade and Treasury Conference, to further explore expanding business ties with financial institutions as well as companies that seek a better, more secure way to trade in new markets via ExportPortal.com. After many years in the oven, our code and countries are going to be front and center in 2018. To learn more about ExportPortal.com, please go to https://www.exportportal.com/learn_more. Investors can sign-up to learn more about Export Portal at http://ec-b2b.com/. Those well-connected and successful enough individuals or companies that want to join Export Portal's Country Brand Ambassador Position can find more information here: http://b2b-ec.com/.